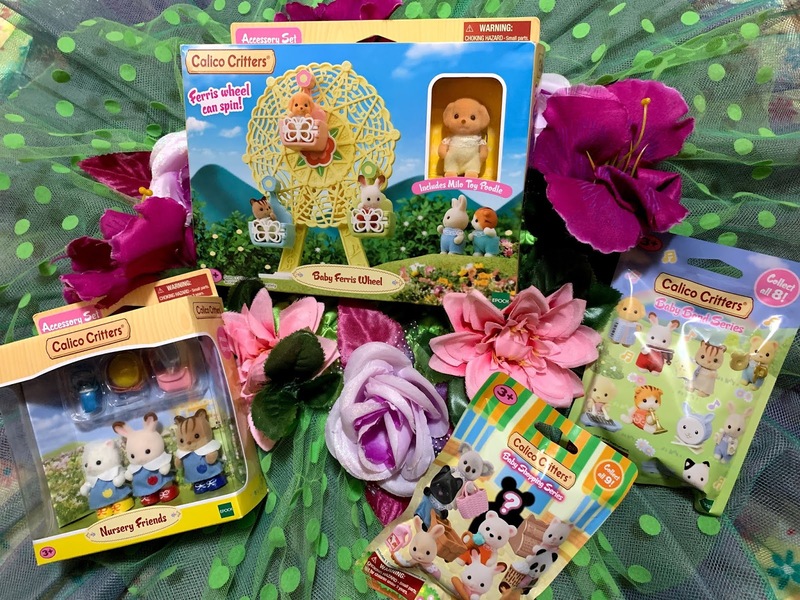 Easter Basket Ideas: ALEX Toys! Disclaimer: We received the following products for free to facilitate my review. No monetary compensation was received. The opinions in the post are 100% honest and all Mine. This post may contain affiliate links. Easter is quickly approaching! Only a few more days until we get to dress our children in the most ADORABLE outfits. It's also the day when many of us hand over that beautifully created Easter basket that you've either worked weeks on or, in my case, haven't even started. Here's two great products from ALEX Toys that would make any Tween (boy and girl) happy! We were sent two awesome kits that allow the kids to show off their personal style; Sketch It Nail Pens and Guy Gear DIY Metallic Tattoos. 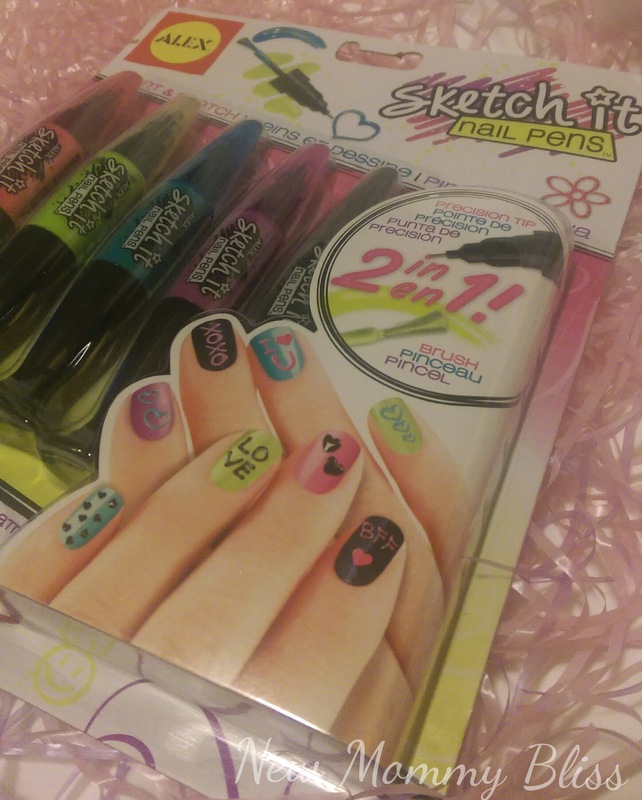 The Sketch It Nail Pens are a part of their Spa & Beauty category with a targeted age of 8+. 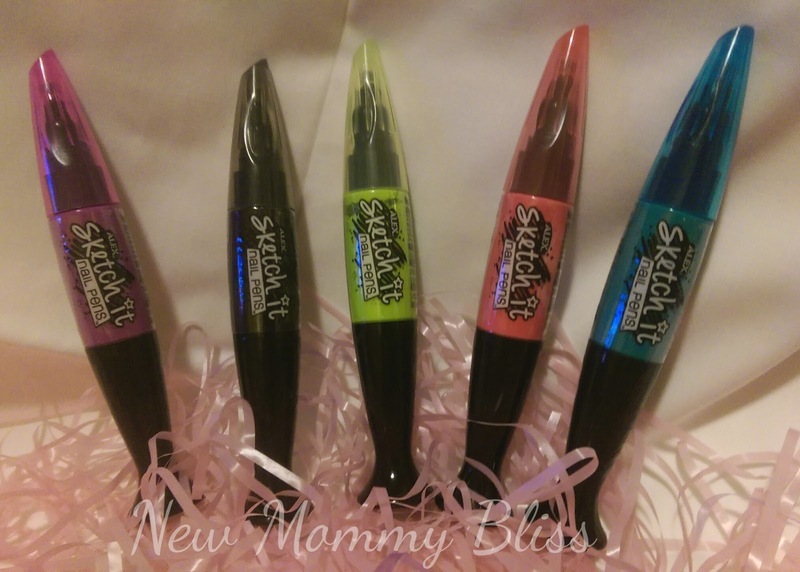 We received the Hot Hues in 5 beautiful colors sure to make their nails shine! Each nail pen comes with 2 tips. One is for painting on that hot color and the other it to design that tiny masterpiece on their finger nails. I'm Definitely tempted to keep these for myself! 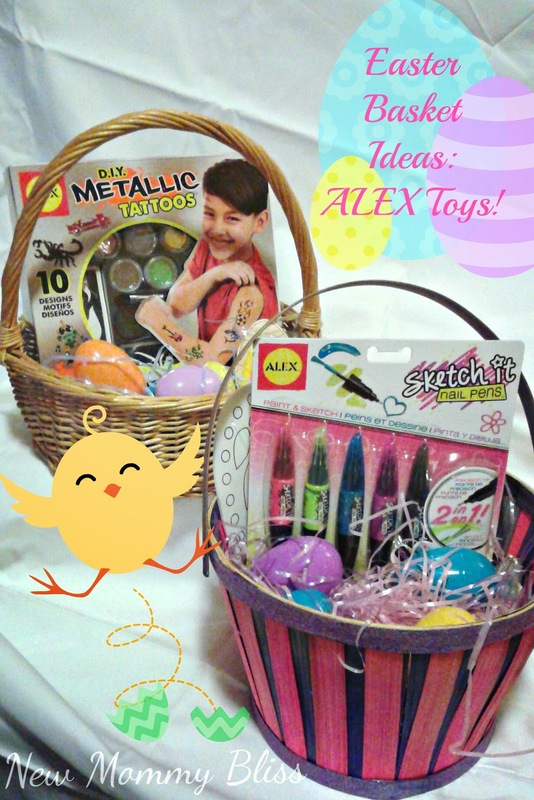 Add some plastic eggs filled with treats and/or other great ALEX Toys accessories to promote personal styles. I Promise your darling (sometimes over-dramatic) tween will hug you! We can't forget about the boys! 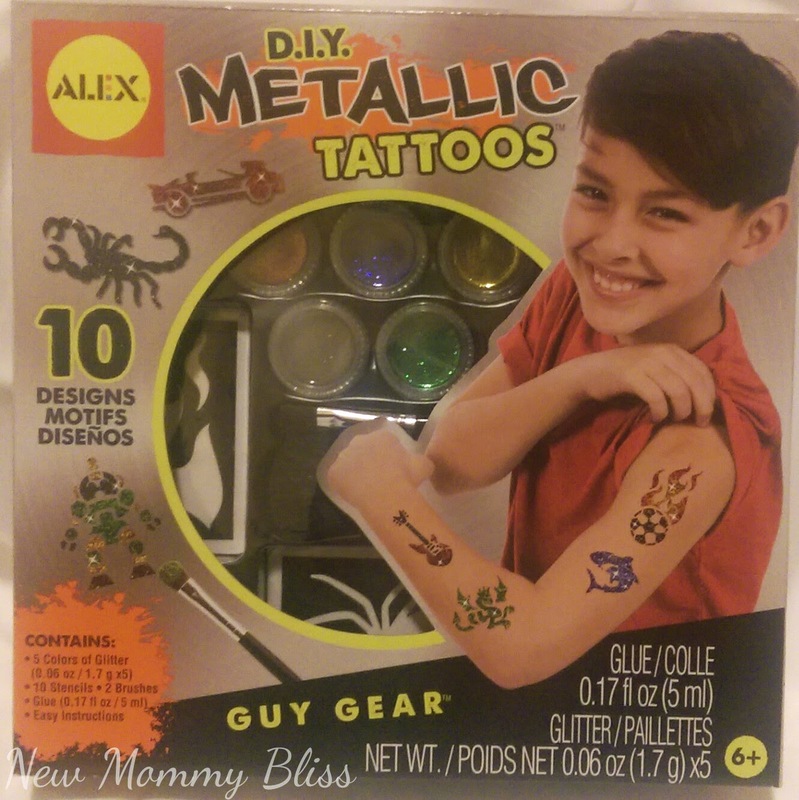 The Guy Gear DIY Metallic Tattoos are designed with personal style in mind! What tween boy doesn't want to show off a flashy TEMPORARY tattoo? It's all fun and will definitely shine through. 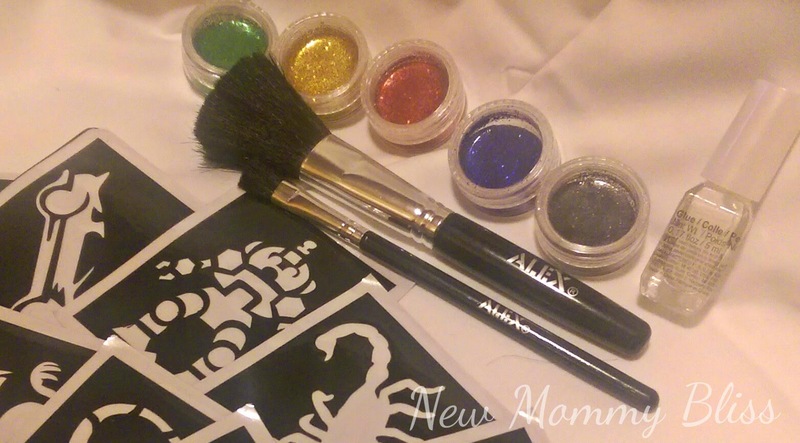 Each awesome kit includes 2 brushes, a small bottle of glue (Like the white glue from school, but more watery), 5 colors of glitter, 10 stencil designs, and incredibly easy instructions! Let me just add that this tattoo kit is also great for girls as well. Add some filled plastic Easter eggs and they're ready to go! ALEX Toys will always have you covered! You can find these gifts by using their Locator. Need some more inspiration? Take a look (HERE and HERE) at our Past and most recent favorites! 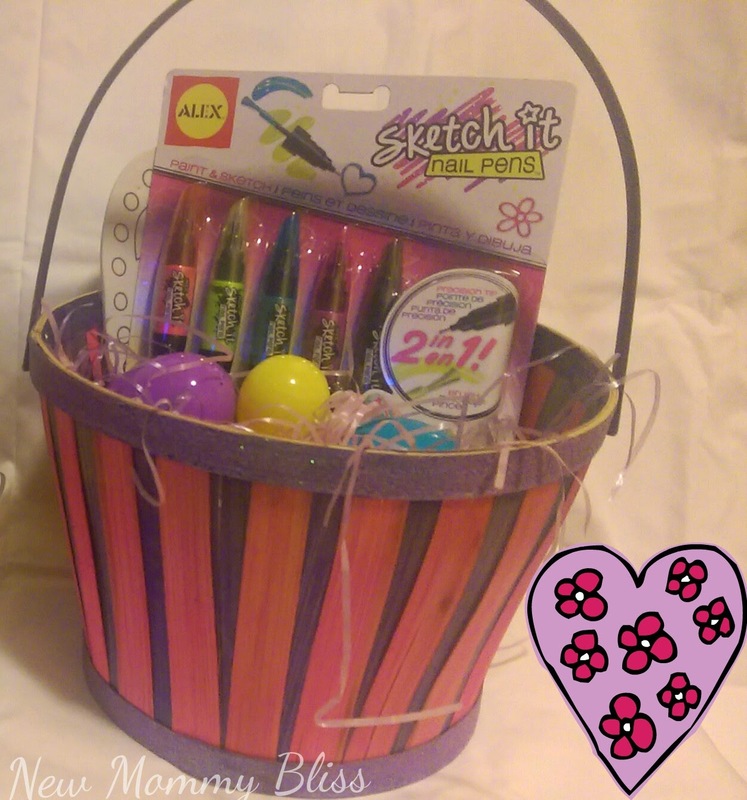 Here are our Tween Baskets! Have your completed yours? What did you fill them with? 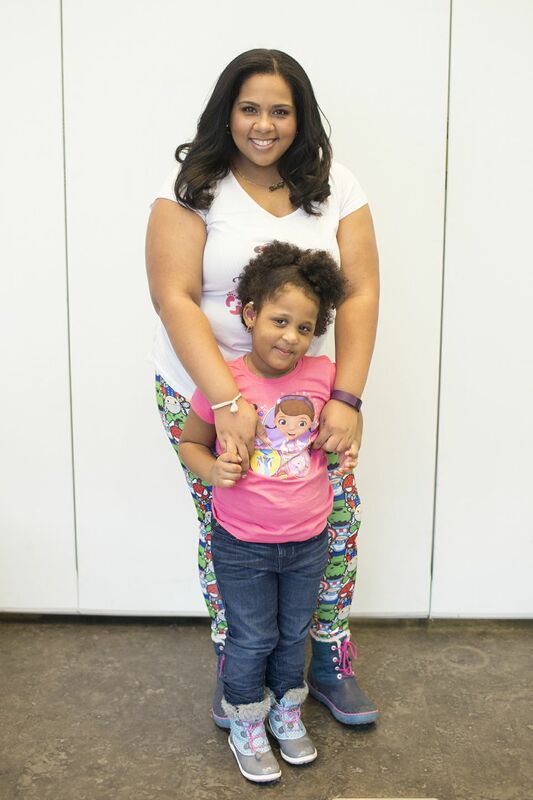 Mother & Daughter Event in NYC on May 2nd! Why we DITCHED Cable Television! #WhenImHungry, I turn into Hulk Toddler!